Found one in my yard! We live in the Caledon, Ontario, area. Found this guy in my backyard on my deck. Comments for Found one in my yard! Join in and write your own page! It's easy to do. How? 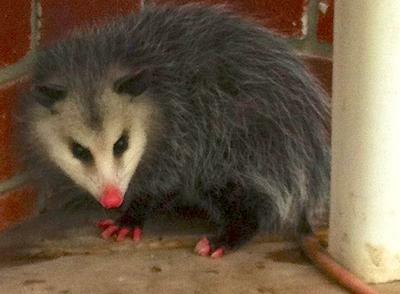 Simply click here to return to Possum sightings 2013.